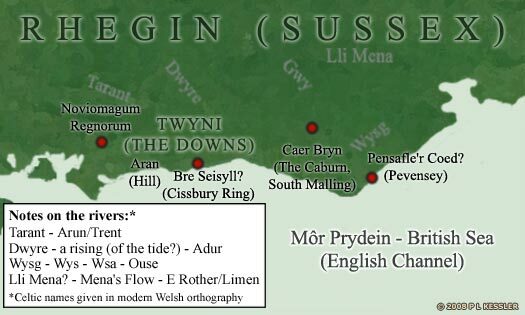 Stage one of Ælle's campaign to take Rhegin from the Romano-British state and then spread westwards was completed in 491, but the plan was brought to a halt by the devastating Saxon defeat at Mount Badon a few years later. The westward advance was restarted by the capture of Porchester in 501. On Ælle's death in 514, Cissa became king of the South Saxons and soon afterwards Cerdic extended his own campaign as warlord of the West Saxons.